1. 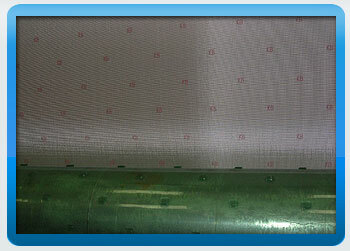 Stable tension control, able to roll 7628~1080 type of cloth. 2. User friend man-machine interface. 4. Each layer is password protected and managed separately. 5. Stop on demand while printing Logo, after restart Logo pitch maintains the same by process control. 6. 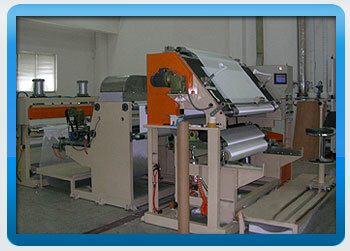 Rolling tension and Press Wheel pressure can be set as multiple levels. 7. Able to calculate the outputting and rolling diameters without knowing the material thickness. 8. Able to preset multiple stopping points. 1. 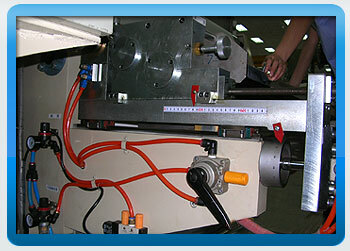 According to tension control, there are magnetic powder clutch control and servo motor control. 2. 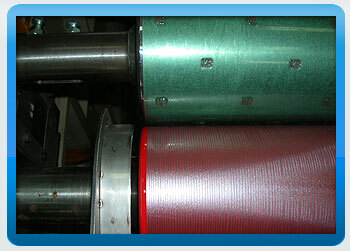 Air Shaft type can be designed based on customer specifications and requirements.